Alcohol is a socially accepted and commonly used drug which has become an integral part of Australian culture so it is no surprise that its role in cancer development is often overlooked. Earlier this month the World Health Organisation (WHO) released some sobering statistics in their World Cancer Report (2014), estimating that the global burden of cancer will rise from approximately 14 million new cases per year in 2012 to 22 million within the next 20 years. According to WHO, more than 30% of cancer deaths could be prevented by avoiding known risk factors such as poor diet, tobacco use, environmental air pollution, alcohol consumption and being overweight. Alcohol does not only contribute to mouth and oesophageal cancer, it is also a major risk factor for oestrogen-dependant cancers such as breast cancer. Research shows that each standard drink (10 gm alcohol) per day has been found to increase breast cancer risk by 7% in women. Women are more physiologically sensitive to the effects of alcohol than men, likely due to having lower total body water and differences in alcohol metabolism. Why Do Alcohol and High Oestrogen Levels Increase Breast Cancer Risk? Several epidemiology studies have demonstrated changes in circulating hormone (especially oestrogen) levels due to chronic alcohol intake in both pre and postmenopausal women. Oestrogen has a proliferative effect on certain body tissues, therefore elevated oestrogen levels due to high alcohol intake may promote oestrogen-sensitive breast cells to become cancerous. Induces enzyme activity responsible for androgen to oestrogen conversion. Alcohol is associated with a down-regulation of breast cancer susceptibility gene 1 (BRCA1) activity. BRCA1 is a human gene that helps to suppress tumour growth and repairs damaged DNA, thereby having a cancer protective effect. In post-menopausal women oestrogen levels are naturally lower, therefore alcohol is believed to increase breast cancer risk through elevated insulin levels and insulin-like growth factors (ILGFs). ILGFs have similar proliferative effect on breast cancer cells as oestrogen. Alcohol compounds breast cancer risk in women using hormone replacement therapy (HRT) as both drugs increase oestrogen levels and may surpass the threshold of breast caner promoting effects. Alcohol decreases folate levels by interfering with folate absorption and utilisation within the body. Folate is a B-vitamin required for healthy cell division, DNA repair and gene expression, thereby folate deficiency increases risk of cancer development. Research shows that breast cancer risk is highest in women with high alcohol and low folate intake. The effects of chronic alcohol intake are also seen with the decline in overall female reproductive function including ovarian failure, infertility and early menopause. Apart from affecting oestrogen levels, alcohol has its own carcinogenic properties as it is converted to toxic substances such as acetaldehyde in the body. Acetaldehyde is known as an intermediate metabolite and should be further detoxified into the less harmful compound, acetate and its byproducts. However, unless all of the required detoxification enzymes are functioning properly acetaldehyde levels will increase and and unbalanced detoxification processes will result in the production of excess reactive oxygen species (ROS). ROS are very harmful to the body as they cause DNA damage and thereby contribute to the development of breast cancer. A build up of acetaldehyde is responsible for the horrible symptoms of a hangover too! Genetic polymorphisms in genes responsible for alcohol detoxification can further increase individual susceptibility to the damaging effects of alcohol. More information on the link between oestrogen exposure and breast cancer including ways to enhance oestrogen metabolism can be found here. Limit your drinking. Give yourself at least 3-4 alcohol-free days per week to allow your body to process and eliminate toxins more effectively. 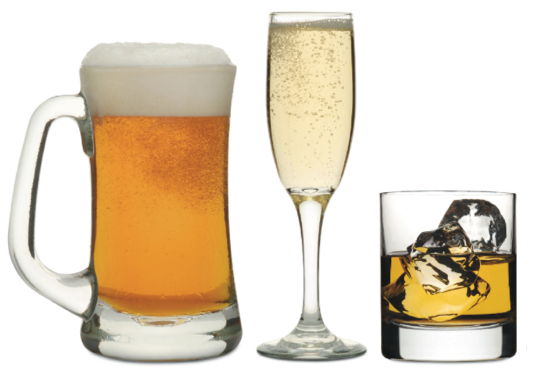 Don’t binge drink (more than 4 standard drinks in one session) when you do consume alcohol. Australian national guidelines for alcohol consumption recommended sticking to 2 or less standard drinks on days you drink to limit your risk of alcohol-related disease and injury over a lifetime. If you currently have breast or any other type of cancer or are in recovery from cancer, we recommend abstaining from alcohol altogether. Support liver health and detoxification. The liver is responsible for the majority of both alcohol and oestrogen detoxification, therefore supporting liver health is crucial to maintaining overall cellular health and hormone balance. Information on the best foods for your liver can be found here. Supplement wise, broccoli sprouts are exceptional for supporting cellular health, liver function and oestrogen elimination due to their sulforaphane content. Ensuring your body has the nutrients it needs to detoxify alcohol properly is also vital so start taking a good quality multivitamin to fill the nutritional gaps in your diet. Get tested. Emed’s Female Hormone Profile test gives you readings for a range of hormone levels, including oestrogens (E1, E2, E3), Progesterone, Testoserone and DHEA. This test can be a great place to start if you think that high oestrogen levels may be affecting your wellbeing.